The DELTA Universal Fuel Unit is an efficient and modern oil pump, designed for pumping oil in high pressure oil burners and transfer pump applications. The mounting flange, hub and shaft sizes are manufactured to international standards (EN 225), and the same unit is provided with bilateral nozzle port, and is suitable for clockwise and counter clockwise rotation. 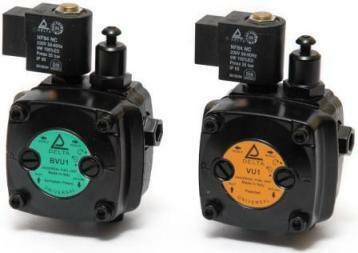 The VU Universal pump can easily replace every other type of oil burners pump.